I have applied many times for my voter id card but till date i have not receive the same even i there is no any confirmation received by election comm. local office. I am working in Gujarat and permanent address in Meerut (U.P). please help to issue the same, My old voter id card no is HDM1669795 that belongs to my old address. kindly help to resolve the same. I saw my name in voter list through online but still can’t get my id card can anyone help how i get or track it. 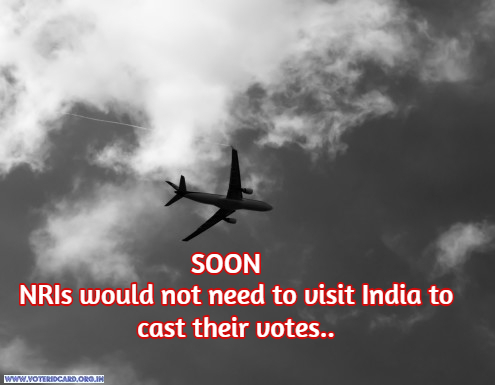 Could NRI Voters Cast Their Votes Without Visiting India?